Weeksite: Mineral information, data and localities. 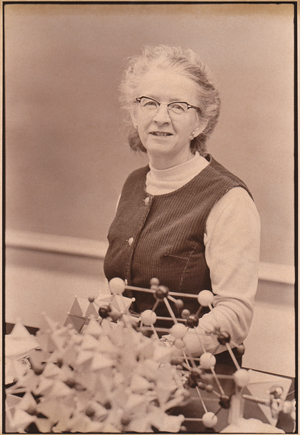 Named in 1960 by W. F. Osterbridge, Mortimer Hay Staatz, Robert Meyrowitz, and A. M. Plummer in honor of Alice Mary Dowse Weeks [August, 26, 1909 Sherborn, Massachusetts, USA - August 29, 1988 Bryn Mawr, Pennsylvania, USA], mineralogist for the United States Geological Survey and later professor of mineralogy, Temple University (Philadelphia, USA). This page provides mineralogical data about Weeksite. Carnotite 10 photos of Weeksite associated with Carnotite on mindat.org. Chalcedony 4 photos of Weeksite associated with Chalcedony on mindat.org. Fluorite 3 photos of Weeksite associated with Fluorite on mindat.org. Quartz 3 photos of Weeksite associated with Quartz on mindat.org. Opal 3 photos of Weeksite associated with Opal on mindat.org. Aragonite 2 photos of Weeksite associated with Aragonite on mindat.org. Outerbridge W.F., Staatz, M. H., Meyrowitz, R., Pommer, A. M. (1960) Weeksite, a new uranium silicate from the Thomas Range, Juab Co., UT, American Mineralogist: 45: 39-52. Doklady Akademii Nauk SSSR: 282(5): 1132-1136. Jackson, J.M., Burns, P.C. (2001) A re-evaluation of the structure of weeksite, a uranyl silicate framework mineral. Canadian Mineralogist: 39: 187-195. K. Fejfarová, J. Plášil, H. Yang, J. Čejka, M. Dušek, R.T. Downs, M.C. 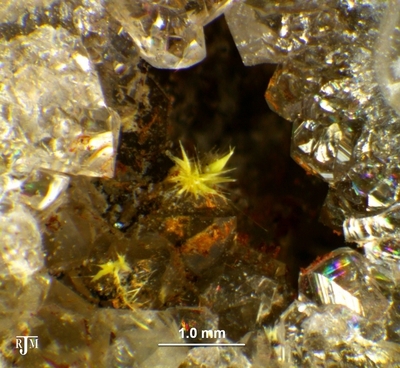 Barkley, R. Škoda (2012) Revision of the crystal structure and chemical formula of weeksite, K2(UO2)2(Si5O13).4H2O. 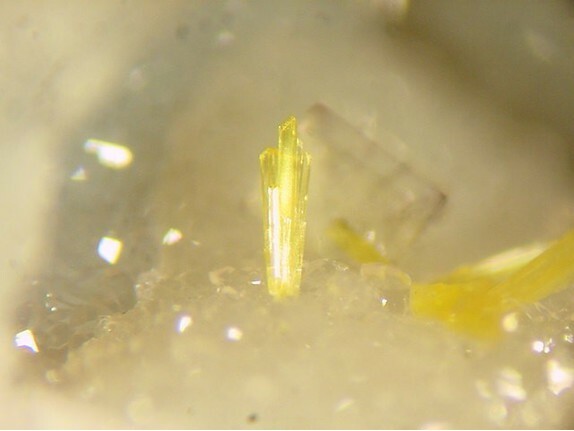 American Mineralogist: 97: 750-754. Panczner(1987):392.; Econ Geol (1991) 86:233-248; Wong, V., Goodell, P. C., & Anthony, E. Y. (1999, January). Characterization of U-series disequilibria at the Pena Blanca natural analogue site, Chihuahua, Mexico. In MRS Proceedings (Vol. 556, p. 801). Cambridge University Press. Anthony, J.W., et al (1995), Mineralogy of Arizona, 3rd.ed. : 155, 418. Anthony, J.W., et al (1995), Mineralogy of Arizona, 3rd.ed. : 418. Anthony, J.W., et al (1995), Mineralogy of Arizona, 3rd.ed. : 127, 155, 411, 418; Outerbridge, W.F., et al (1960), Weeksite, a new uranium silicate from the Thomas Range, Juab Co., UT, Am.Min. : 45: 39-52; Honea, R.M. (1959), New data on gastunite, an alkalin uranyl silicate, Am.Min. : 44: 1047-1056. Outerbridge, W.F., et al (1960), Weeksite, a new uranium silicate from the Thomas Range, Juab County, Utah, American Mineralogist (1960): 45: 39-52; Pemberton, H. Earl (1983), Minerals of California; Van Nostrand Reinholt Press: 517. American Mineralogist (1970): 45: 39-52. 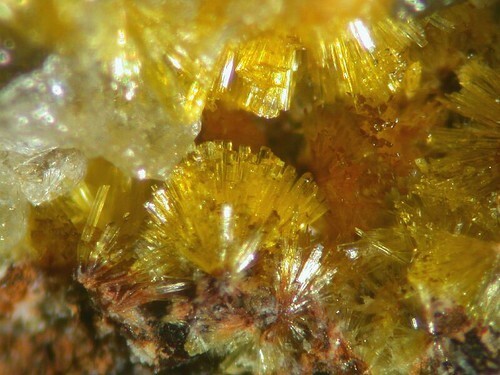 Outerbridge, W.F., et al (1960), Weeksite, a new uranium silicate from the Thomas Range, Juab County, Utah, Am.Min. : 45: 39-52; Min.Rec. : 10: 271.